Malevolent release date was Friday, October 5, 2018. This was a Netflix Only release. 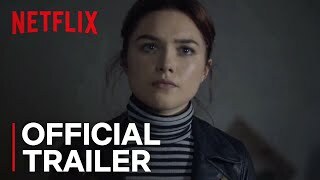 Brother and sister team Angela (Florence Pugh) and Jackson (Ben Lloyd-Hughes) are nothing more than scam artists. Preying on the grief stricken and the vulnerable, they convince the bereaved that Angela has the ability to contact the dead. It's a simple con, until Mrs. Green (Celia Imrie) summons the pair to her home -- the orphanage that was once stage to a string of murders of young girls -- and Angela grows less and less certain of what's actually real. The fake paranormal investigators suffer the ultimate reality check when they are confronted by the true horrors and terrifying past that lie hidden within the haunted orphanage.